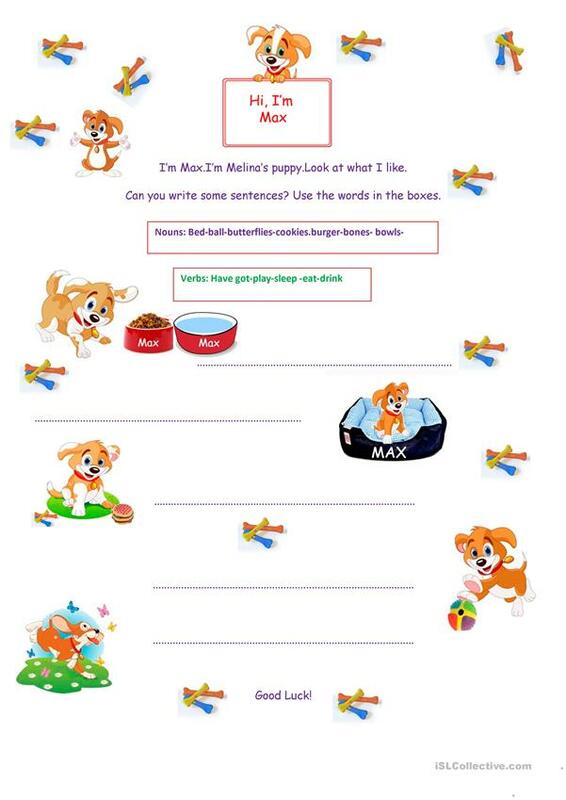 WS to practise,present simple tense(verbs: play, drink, sleep etc.Have/has got.Toys, food,animals vocabulary.Sts have to write sentences using the words in the boxes. The above downloadable teaching material is intended for elementary school students, kindergartners and nursery school students and students with special educational needs, learning difficulties, e.g. dyslexia at Beginner (pre-A1) and Elementary (A1) level. It is a valuable material for strengthening your learners' Speaking and Writing skills.